This evening saw the official opening of the Gibraltar Fine Arts Association’s National Celebrations Exhibition 2015, a showcase of Gibraltarian artistic talent (and there is a LOT of talent round these parts!). 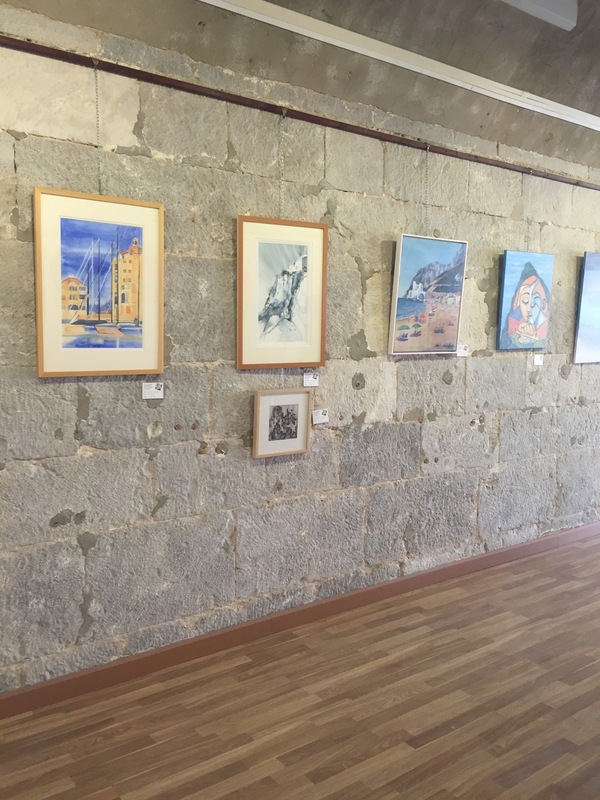 Organised by the Fine Arts Association and Fine Arts Gallery in Casemates Square (below), this is the second exhibition of its kind and is a great way to see many interpretations of the Rock and it’s people. It kicks off the beginning of a week of celebrations of the Gibraltarian national identity and the right to self determination ending with National Day next Thursday, 10th September. The competition was open to all artists from those already well established on the local art scene to others perhaps starting out on their careers. 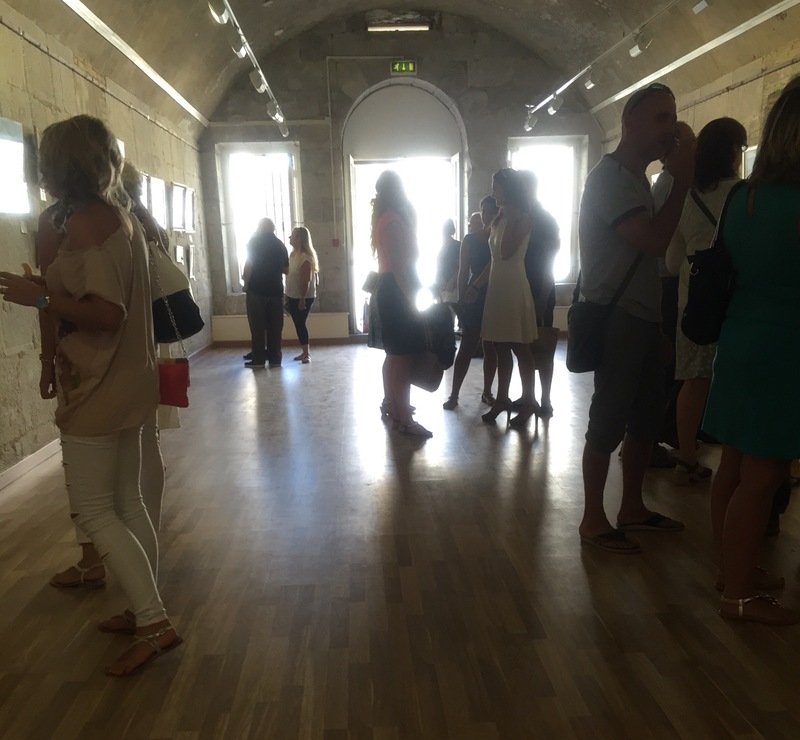 There was a good turn out on the exhibition’s opening night in the atmospheric Gustavo Bacarisas Gallery with representatives from the worlds of business, politics and of course the arts. 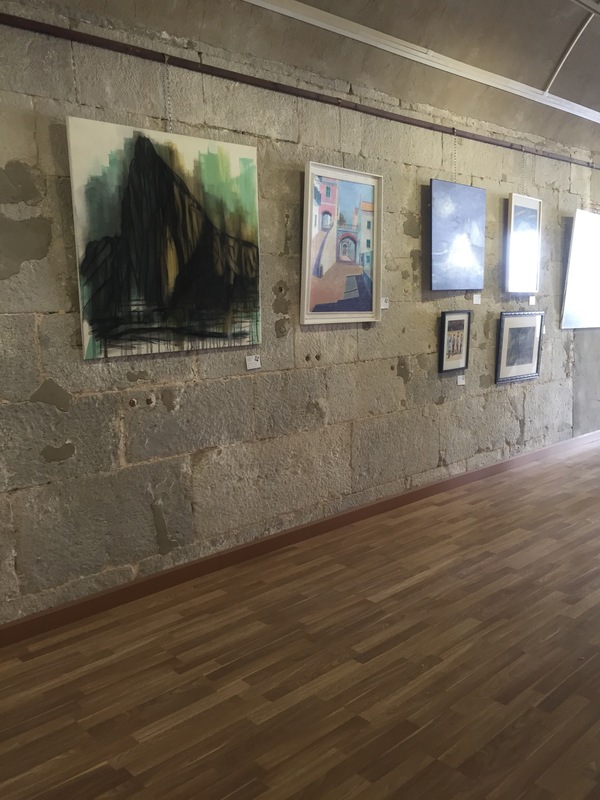 When opening the exhibition officially, the Minister for Culture, Steven Linares quoted a visiting artist from Almeria who had been astonished at the wealth of talent in a relatively small area. 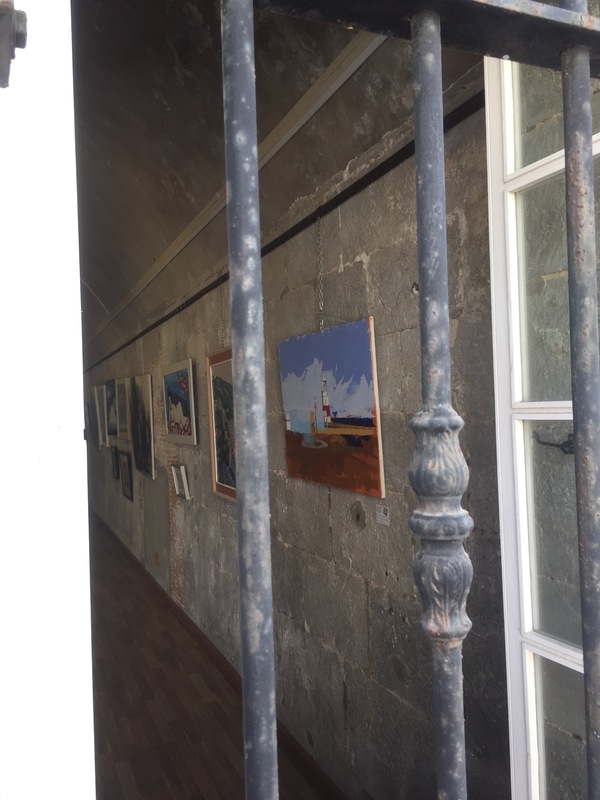 He stated that when an art gallery had been opened in Almeria, where there is a population of over one million, just 15 or 16 artists had exhibited their work there, yet in Gibraltar (with a population of just 30,000) there are over fifty good quality artists. The theme for the contest was ‘Our Gibraltar’, the result being that the vast majority of the work showed images of the Rock and its people. There were dramatic paintings of the Rock in all it’s splendor, views of the beaches, seascapes, architectural images and views of the town centre. The exhibition included work in oils, watercolour, pencil, ink and collage, there was even one picture which had been created on an iPad! The competition was won by Leslie Gaduzo with his view of Waterport Road. 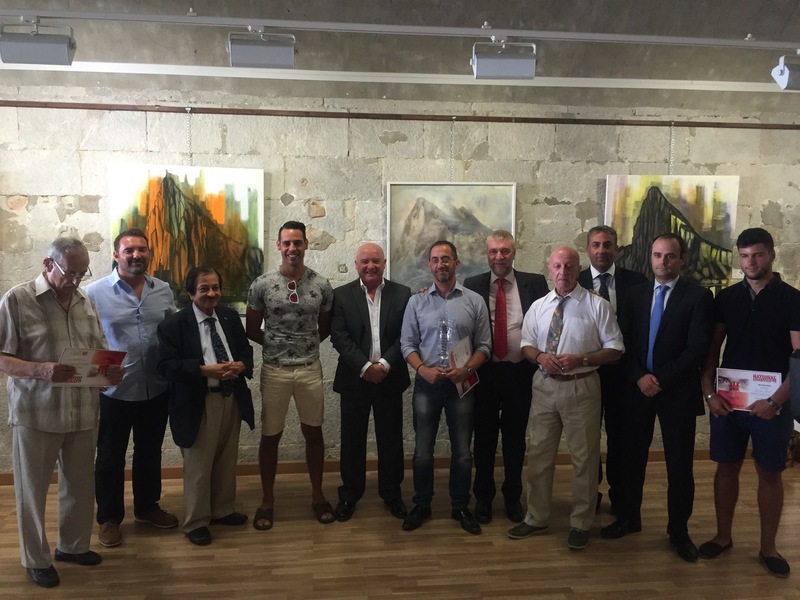 He can be seen here with some of the other winners, the sponsors, organisers and the Gibraltar Minister for Culture. 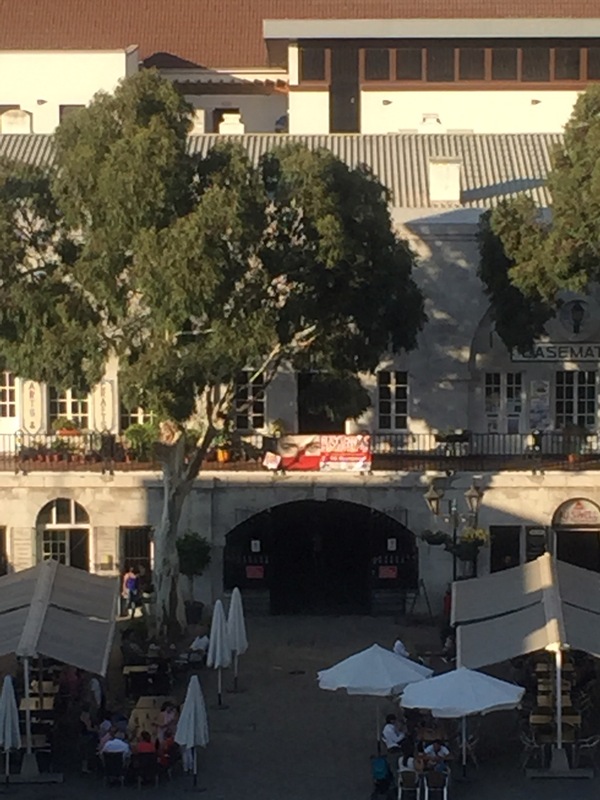 If you should find yourself in Casemates Square between now and 15th September I’d really recommend a visit. 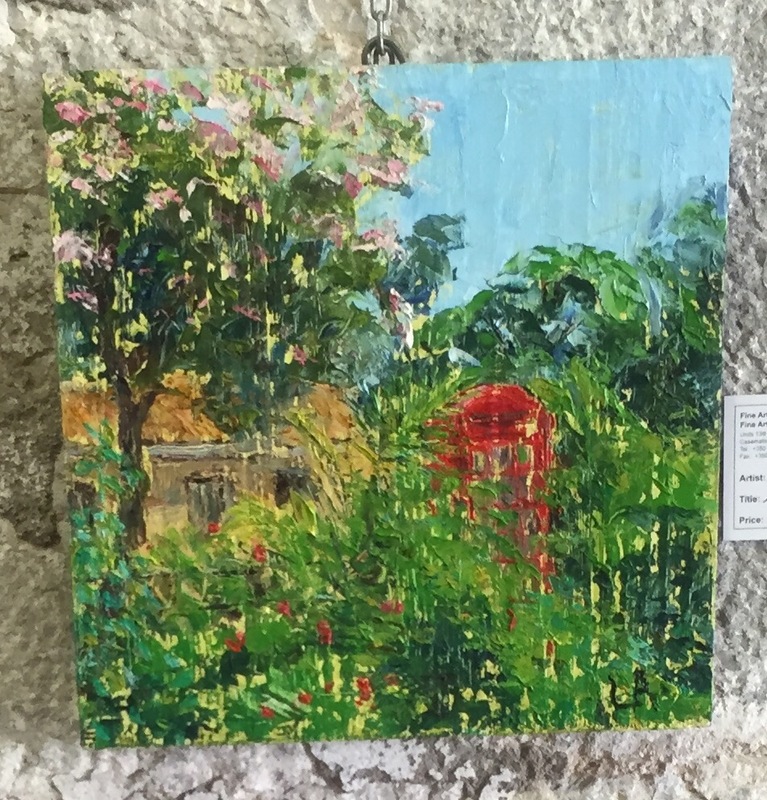 I’ll leave you with my personal favorite; Alameda Gardens Phone Box by Linda Alcantara. < Previous Back to school – the long goodbye. Oh wow! I had no idea Gibraltar was such a creative place. Great post!